Sculpted for my own miniature line Runic Miniatures as an traveling companion for Little Princess. I really enjoyed sculpting this little guy and aimed for simplicity in the overall look. 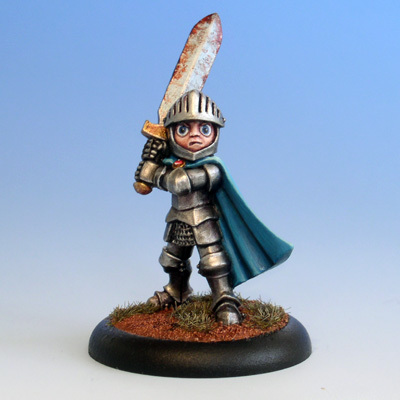 As with the Little Princess the goal was to make a miniature that can be painted within an evening or so. I spent about 2 hours painting him and spent another half hour doing the base. Quick and fun! Vote and comment on Little Knight on CoolMiniOrNot: www.coolminiornot.com/277677.